We slow roast our tender and favorful prime rib for more than four hours to achieve a perfect medium rare. 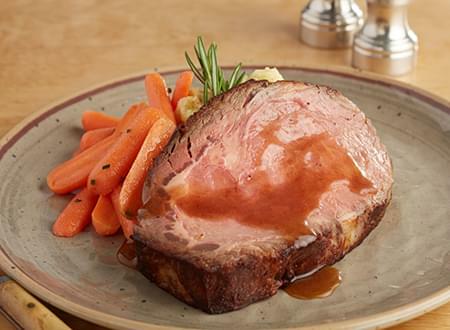 We include a smooth au jus sauce for dipping. BEEF RIB, WATER, PARSLEY, THYME, BEEF BASE, GARLIC POWDER, BLACK PEPPER.